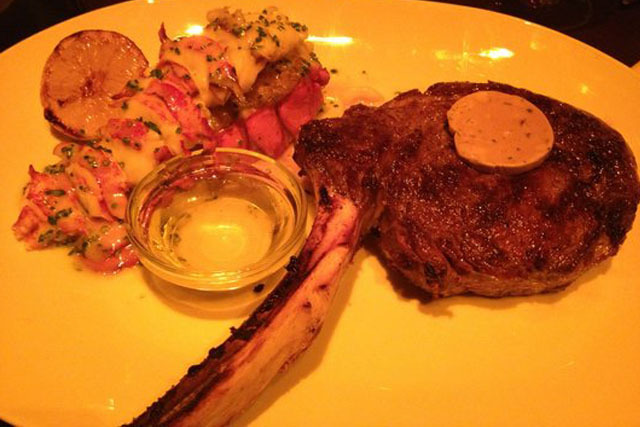 While many other Las Vegas restaurants specialize so much that the only people who will enjoy them are people the love the specific cuisines they offer, BRAND steakhouse at Monte Carlo offers something for everyone. 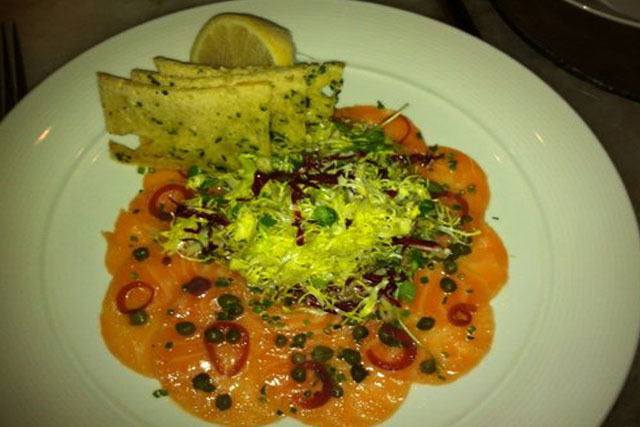 Of course, its steaks are its focus, but it also offers seafood, sandwiches and delectable desserts. For those who can't decide, the buffet offers a little bit of everything. Some of the signature steaks will be Bone-In and Bone-Out Nebraska steaks. These steaks will be cooked on a wood-burning grill as fits the best steaks. The Ultimate Steak may be the most eye-catching item on the menu: an 8.6 pound beef porterhouse designed for six diners. The house-made sauces are also delicious, unique offerings at BRAND. Some examples of the flavors can expect are brandy and green peppercorn; whole grain mustard and shallot-red wine bordelaise. Seafood, salads and appetizers round out an already impressive menu. BRAND will also offer an extensive selection of wines, bourbons and cocktails so that every diner can find something to complement their meal. BRAND is simultaneously a steakhouse and a lounge, adding new energy to both the Las Vegas dining and nightclub scenes. The restaurant's open design enables people-watching, so diners are part of the see-and-be-seen crowd. Couch style will set an intimate mood in the lounge so that guests can relax and enjoy their drinks. The lounge is near the restaurant, so loungers can combine the dining and nightlife experience. I attended this restaurant second time on valentines day this year and I must tell you the service was very poor at this restaurant and the food quality has gone down compared to last year. I will not go back for more. This is probably the 4th time we have eaten dinner at the restaurant. We've always had the slow roasted prime rib, and it had always been delicious - a melt-in-your-mouth experience. We were there 11-7, with a guest, and it was truly disappointing. Although the portion was larger, the meat was very chewy and not very flavorful. Also, we were told the chef prepared it only one way, medium rare, so that had changed also. Our side dishes of mashed potatoes ($9) and asparagus ($10) were miniscule. The meal was such a disappointment! We won't be back there to eat.